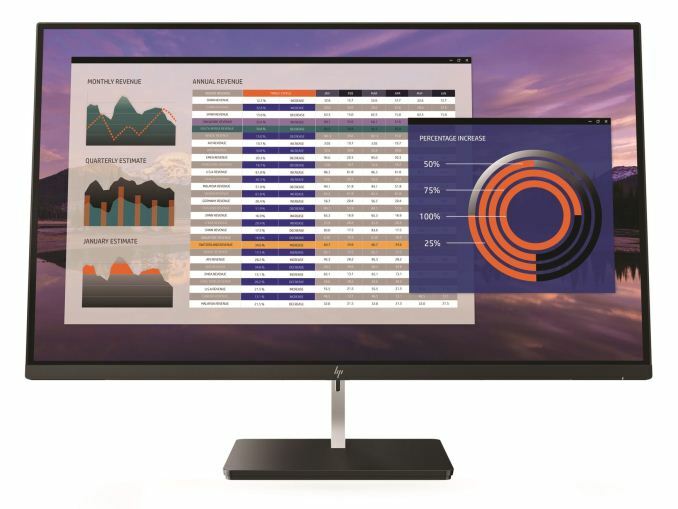 HP's last announcement of the day are additions to its 4K monitor lineup in the Z27, Z32, Z43, and EliteDisplay S270n monitors. The new lineup includes HP's first 4K EliteDisplay, as well as HP's largest 4K display in the Z43. 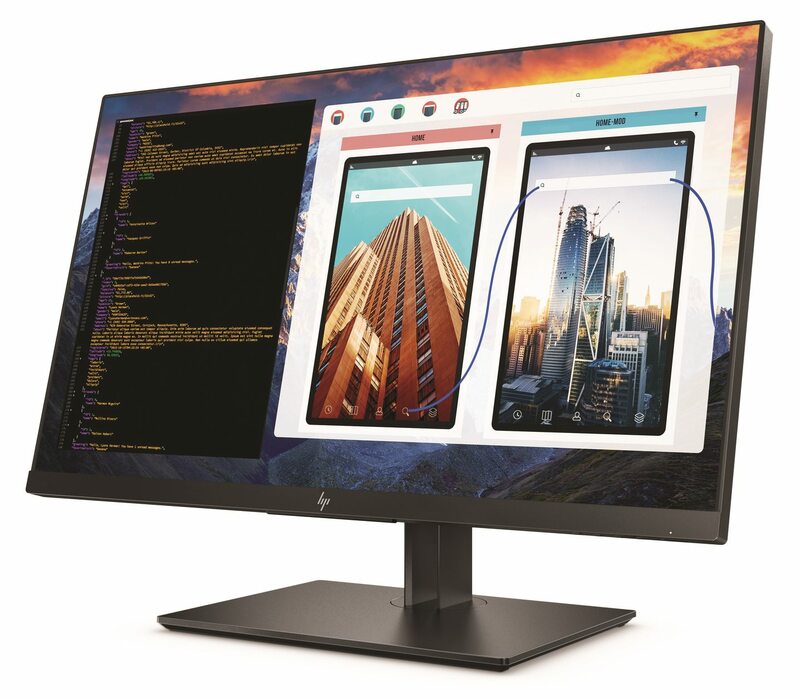 HP mentions enterprise customers chose high-quality color as the most important display feature while high resolution as quality comes in as second. The EliteDisplay line are meant to be designed specifically for ergonomics and aesthetics in office environments. The EliteDisplay S270n features 350 cd/m² brightness, 1300:1 static contrast ratio, and 14 ms gray to gray response times. It has a DisplayPort 1.2 input, and two HDMI inputs (1.4 and 2.0). The monitor has one port or a connector, a single USB Type-C supporting Displayport 1.2 and able to deliver up to 60W of power to a connected device. The Z27, Z32 and Z43 (where number is the screen size) monitors will offer the same 4K UHD resolution and IPS based panels but varies a bit in outputs. These models will still deliver the same 350 cd/m² brightness and 1300:1 static contrast ratio, but the response time is improved on the 27-inch and 42-inch models to 8 ms gray to gray (the 31-inch model is at 14 ms). 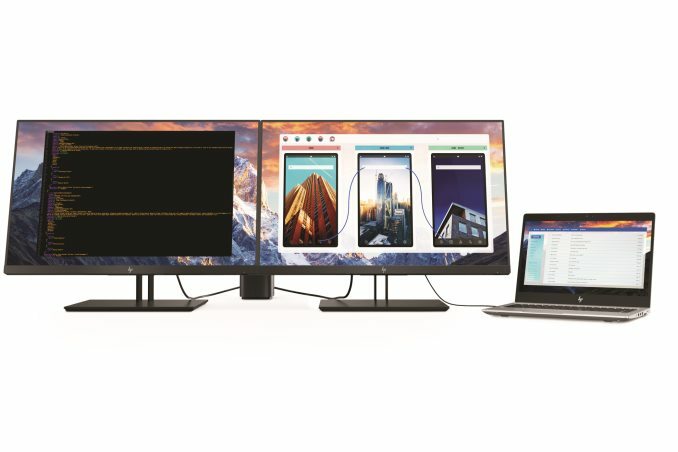 Like the EliteDisplay, the Zxx series of monitors also connects via one single USB Type-C which supports Displayport 1.2 and can send up to 65W of power to the connected device. All monitors are available now. The S270n is priced at $549, while the Z27, Z32, and Z43 are priced at $559, $899, and $799 respectively. Display Size (Diagonal) 27" 27" 31.5" 42.5"
"HP mentions enterprise customers chose high-quality color as the most important display feature while high resolution as quality comes in as second." Wouldn't it be possible for a dark/light reading mode for your esteemed website? On the smartphone I am able to invert colors, but not on the Laptop. "The S270n is priced at $549, while the Z27, Z32, and Z43 are priced at $559, $899, and $799 respectively." So the 43" is cheaper than the 32" ?? ?